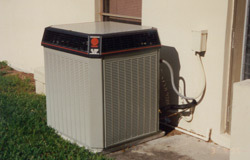 In climates like ours, a high–efficiency central air conditioning system is a necessity for keeping your whole house comfortable while keeping utility costs low. Our factory–trained technicians will handle all your service needs from licensed warranty and post–warranty repairs to immediate emergency response. No other single system in your home plays a larger role in your comfort or how much your utility bill will be than your heating system. We specialize in cost–effective high–efficiency heating solutions, including natural gas and electric furnaces, boilers, and gas and electric heat pumps. 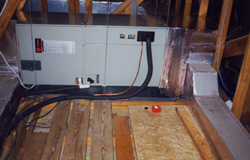 We also provide energy audits of your heating system to evaluate its efficiency.